Advanced Marketing Lists helps organizations to meet the needs of creating custom Target Lists and keep them updated regularly with automated tasks. This component is compatible with all SuiteCRM versions, including On-Demand installations. The Module “Advanced Marketing Lists” automatically fill Target Lists and keep updated the Campaigns to which they are associated. 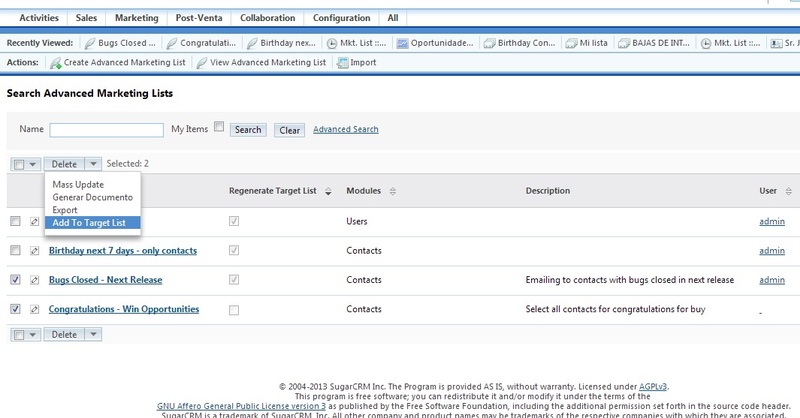 These records may act on the modules that can be linked with Target Lists: Contacts, Accounts, Leads, Targets and Users. Marketing Lists are kept easily updated because the module can create a scheduler for each query. 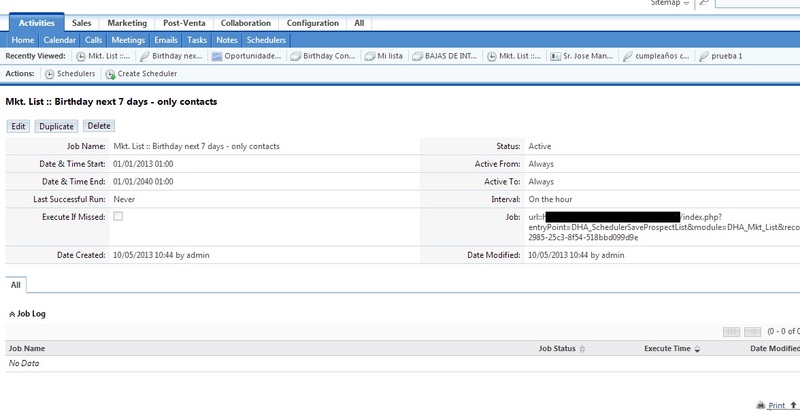 Schedulers will be created with a single click (only admin users have rights to do that). Of course there is a action to launch the process of fill Target Lists manually, from DetailView and ListView. Consult us if you need help on creating custom SQL adjusted to your needs.